As the winds whipped in early Spring, it was discovered that a significant amount of odor was coming from the nearly quarter million gallon sludge holding tank at their site. 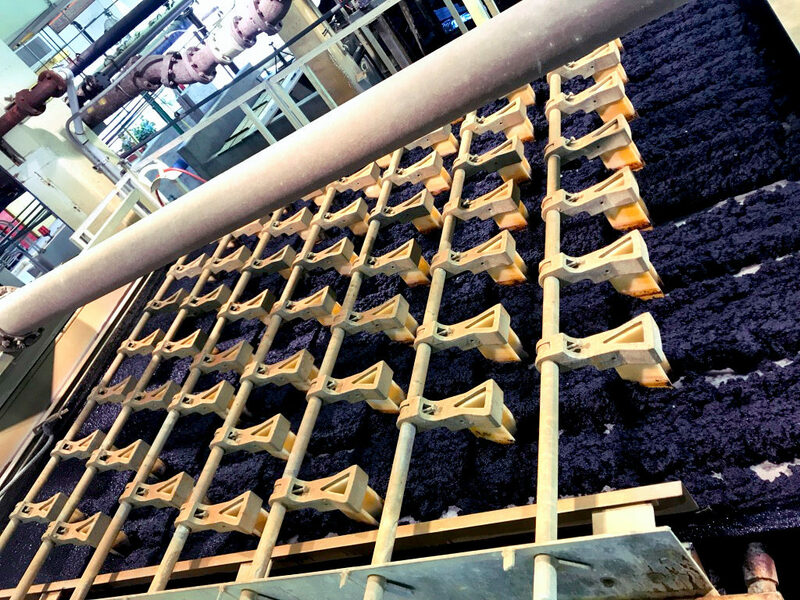 Since Thioguard worked to reduce the primary sludge odors, they wondered if it would work for stored sludge waiting to be pressed. After establishing a stable pH range of 7.5-8.0 s.u., with just a couple of gallons a day, odors were reduced to satisfactory levels… and then something very interesting happened. Not only were odors in the press building reduced, but the press cake was drier. On average nearly 20-40% drier. Why? Thioguard is technical grade magnesium hydroxide: a buffered source of alkalinity that is used to increase pH. Elevated pH promotes better polymer performance. Not only that, but due to divalent cation bridging, the press supernatant quality can be clearer as well. Any remaining alkalinity is then returned in the supernatant to the headworks of the plant. The Lambertville results were recently verified on a much larger scale through bench testing at a treatment plant in Newark, Ohio. The chart below illustrates expected typical annual cost savings in hauling and tipping after the addition of Thioguard at a 100 MGD plant. The bottom line? 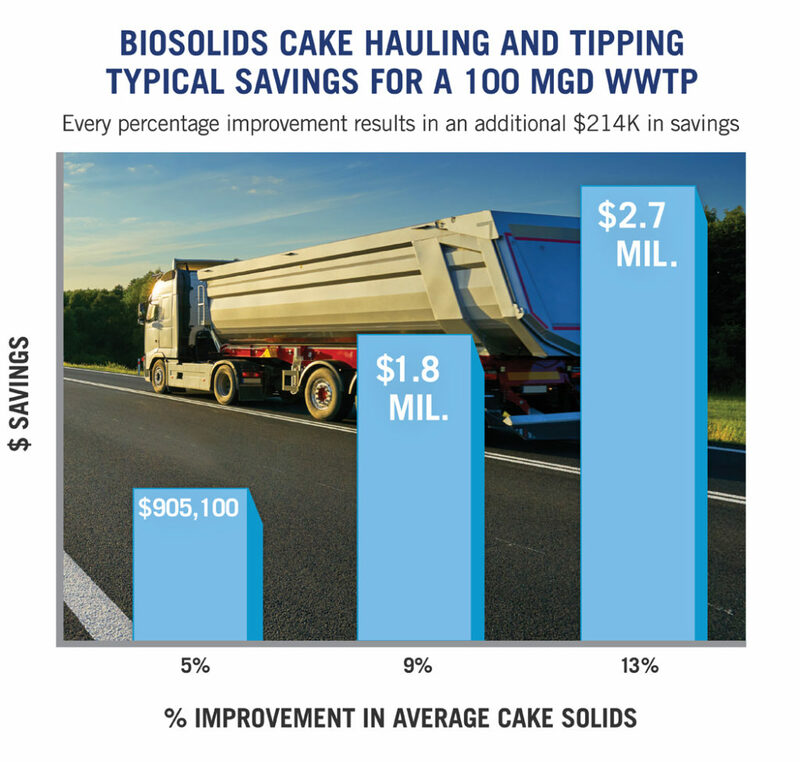 For every 1% improvement in cake solids, the plant would save approximately $214K in hauling and tipping costs. In multiple tests, the use of Thioguard consistently resulted in 5% to 13% improvement in cake solids with greatly reduced water weight. Drier cake solids means less to haul, and fewer loads translates directly into operational savings.